Hugh will play CS Lewis in William Nicholson's play Shadowlands at CFT from 26th April to 25th May 2019. 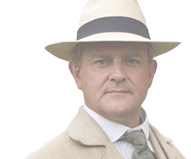 Production has commenced on Downton Abbey, a feature film based on the TV series. Hugh reads H.G. Wells' classic science fiction novel. Available to download now from Audible and Amazon. The exhibition is at CityPlace in West Palm Beach until 22nd April 2019. Hugh will deliver the keynote talk at the voice acting event in London on 10th May 2019. 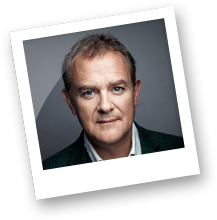 Hugh Bonneville has been working on TV, film and theatre projects since 1986. Visit the date ordered past projects archive to see for yourself what Hugh has been up to since then. A list of recent and upcoming releases on DVD, Blu-ray, download, CD, and more.